Had it not been for all of the above The Stems may not have happened. Heir apparent to the Hoodoo Gurus in the early eighties, The Stems produced a stunning run of garage inspired pop-singles and EP’s (Make You Mine, Love Will Grow, At First Sight, For Always) and one great album (the gold selling At First Sight, Violets Are Blue) before leaving us in 1987 to ponder what could have been. 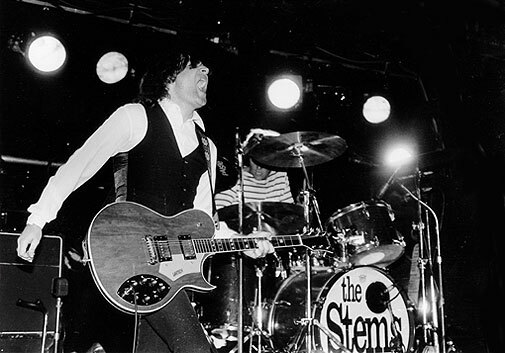 Reforming due to demand in the early noughties The Stems would perform in the U.S at Little Steven’s prestigious Underground Garage Festival and tour Europe before releasing their long awaited second album Heads Up in 2007. The Stems then toured Europe and Australia before again disbanding for good in 2009. However, in 2013, the call went out, Ladies & Gentlemen: The Stems.